Aerial Shot Of A City Near A Lake With Boats. Lake Como - Bellano, Italy. 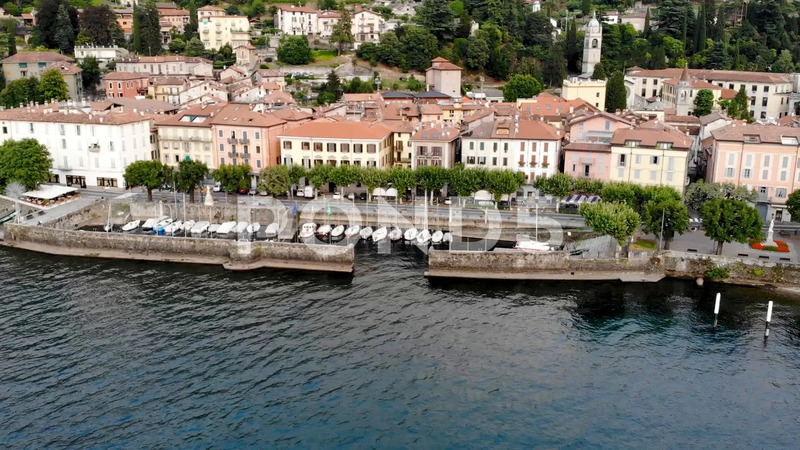 Description: Aerial Shot of a City Near a Lake with Boats. Lake Como - Bellano, Italy. Still frame.